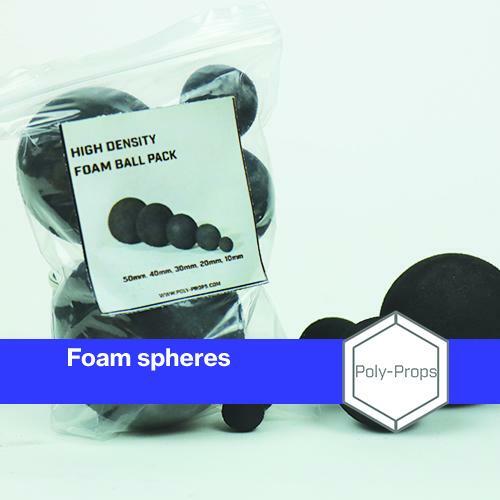 Foam Balls are solid, high density & heat reactive. Cut, Scuplt & create! Diameters range from 10mm to 50mm. Does not react with solvents, which means you can use spray cans, solvent paints and solvent based glues.